Looking for a cost effective cooling or heating solution for a single room, an office space or open areas in your home? 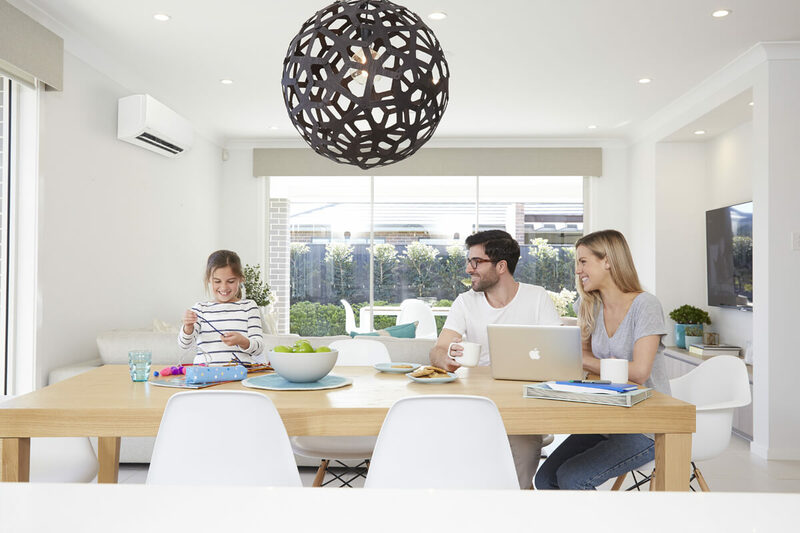 Split system air conditioners have been a top choice for many Gold Coast residents over the years. At Think Cooling, we are experts in finding and installing the perfect Gold Coast air conditioning system for your needs. Call us today on 1300 692 472 to book in a free in home appraisal and have one of our friendly technicians help you choose the best system for your space. Featuring a flexible design with a wide range of choices, split system aircon might be the perfect solution for your needs. As the name suggests, it is a system that’s split into two units: an indoor unit and a discrete outdoor unit. New and improved inverter technology offers maximum energy efficiency while maintaining consistent desired temperatures and smooth, quiet operation. The best option will depend on your needs and the layout of your space. Whether you’re looking for residential or commercial split system installation, you’ve found the right split system guys. At Think Cooling, we are experts in our industry and have installed AC systems for many Gold Coast families and businesses. Choosing the right split system air conditioner can be rather difficult as there are many factors you need to consider. No matter the size of your room or building, we can help you choose the right system for your needs. Call us on 1300 692 472 to book in your free appraisal today! “A month ago, we moved to a new house in Paradise Point. We... only rang Think Cooling to give us a price to install 4 separate a/c systems to various rooms in the new house. We got great value for our money, and the job was completed with the customary professionalism and excellent standard of service. We now also use Think Cooling to service the big house a/c unit.